So I have a fresh pi zero w up and running raspbian stretch lite. 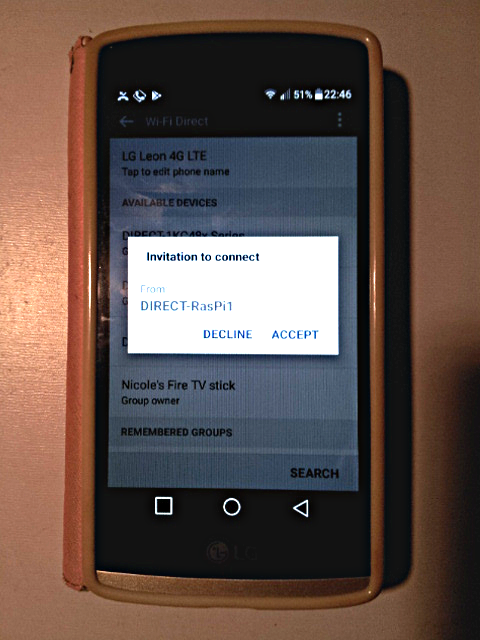 How can I enable Wifi direct/p2p where the Pi is GO and where it has a static ip i can connect to, and install/configure a DHCP server on the pi that when a client device connects to the pi over WiFi direct it get assigned an ip address? Any idea how to do it? has anybody managed to get a similar scenario working? where to start or what resources I could use, its not my first attempt I have been scratching my head around this a lot for the past couple of weeks, and its driving me crazy, it's definitely not an easy task, I messed a lot with the previous installed OS trying to get it working so I had to re-flash a new image. I have tested this with a smart phone using android 6.0 and with Raspbian Stretch Lite 2018-11-13, updated with sudo bash -c 'apt update && apt full-upgrade && reboot'. 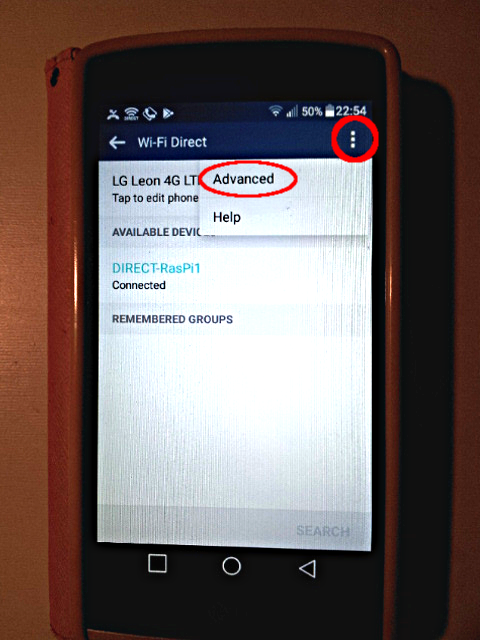 WiFi Direct uses Wi-Fi Protected Setup (WPS) for authentication that knows mainly two modes: Push Button Control (PBC) and Pin Code. For this example I will only use PBC because it is a bit simpler without fiddling with a pin code. After that we can exchange data frames in the group, but usually the DHCP protocol will be used first to provide the client with an IP address. But I haven't found further information how it works so for this setup I will set the RasPi to the group owner. To ensure that a device is always negotiated to a group owner we use the option p2p_go_intent=[0..15]. 0 means the RasPi becomes a client, 15 means the RasPi becomes a group owner. 7 means a chance of 50 % to become a group owner. Now wpa_supplicant is running and for p2p it has a control interface p2p-dev-wlan0. This is not shown with ip link show. You have to know it and wpa_cli connects to it by default if there is no other p2p interface present, for example a group interface p2p-wlan0-0. If you start wpa_cli just without any options it will show you that it is connected to this control interface. To not get confused with other dynamic created p2p interfaces you should always explicit connect to it. Note that we use pbc (push button control) and go_intent=15 to make the RasPi the group owner (see above). In the popped up window I just confirm the connection by ticking ACCEPT (push button). 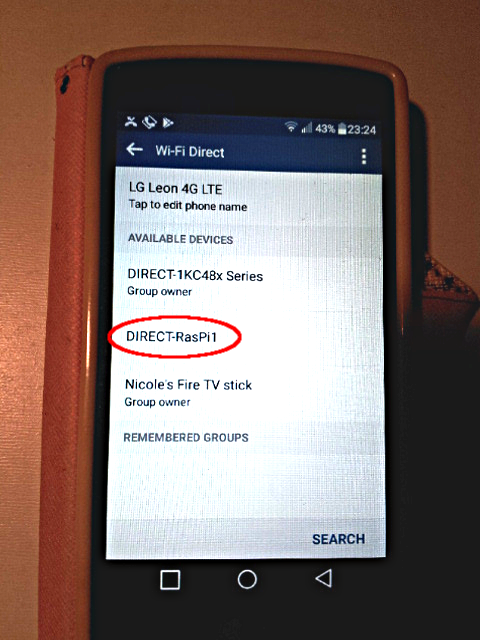 and just ping it from the RasPi to confirm that the smartphone is connected. PING 192.168.4.102 (192.168.4.102) 56(84) bytes of data. Not the answer you're looking for? Browse other questions tagged raspbian networking wifi raspbian-stretch wifi-direct or ask your own question.